What is a winter tire? Winter tires are designed to offer better traction in extreme cold, icy, snowy, or slushy conditions. The rubber compound is able to remain softer at sub-freezing temperatures, making it ideal for cold conditions. What temperature range are winter tires designed for? Winter tires are designed for very low temperatures, well below freezing, and are designed to remain flexible and pliable in these conditions. If you were to use winter tires year-round, what negative consequences would there be? Faster wear - the rubber of winter tires is significantly more flexible than all season and summer tires. This will cause it to wear down quickly in summer temperatures. Decreased performance - winter tread is a bit too flexible for a quick response in warmer temperatures. 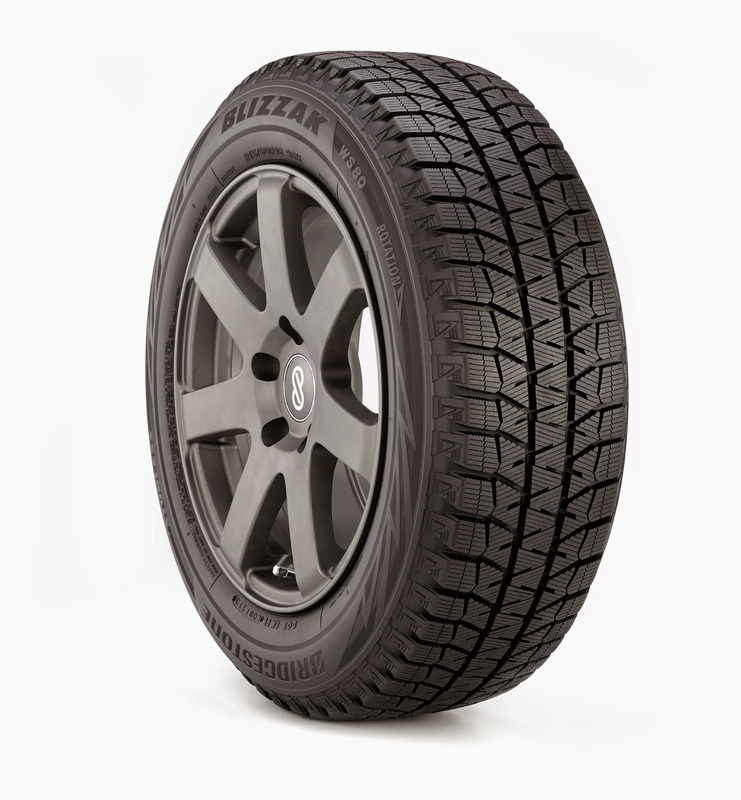 Is it smart to get a narrower width tire for winter tires rather than the OEM tread width? People often say more pressure can be beneficial for snow/winter driving. Is there any truth to this, or should people stick to OEM tread width? There is no perfect answer, but it is common practice with tire and wheel packages to go down a wheel size and section width. Part of the reason is the cost of the wheels and tires will be cheaper. This can be beneficial in deep snow. With deep snow environments wider tires will have more of a plowing effect, where narrower tires will get deeper down. It's important to realize that some complications can occur with size changes, such as ensuring the tires can carry the load, have an acceptable speed rating, allow for clearance of the brakes, among other considerations. What techniques are used in designing winter tires to optimize traction in snow? Studs, soft tire compound, deep tread width, sipes, multi-cell compounds, and bite particles can all aid in winter traction. Will winter tires offer better stopping distance in dry weather versus a summer tire, in cold weather? As temperatures are dropping below freezing, the winter tire’s design will provide better performance. When would it be better to have all-season tires? There are typically two reasons why one would use all season tires. In a "middle" climate zone, one with mild winters that is brushed with snow occasionally. For those in warmer regions, all season tires provide greater tread life than summer tires. 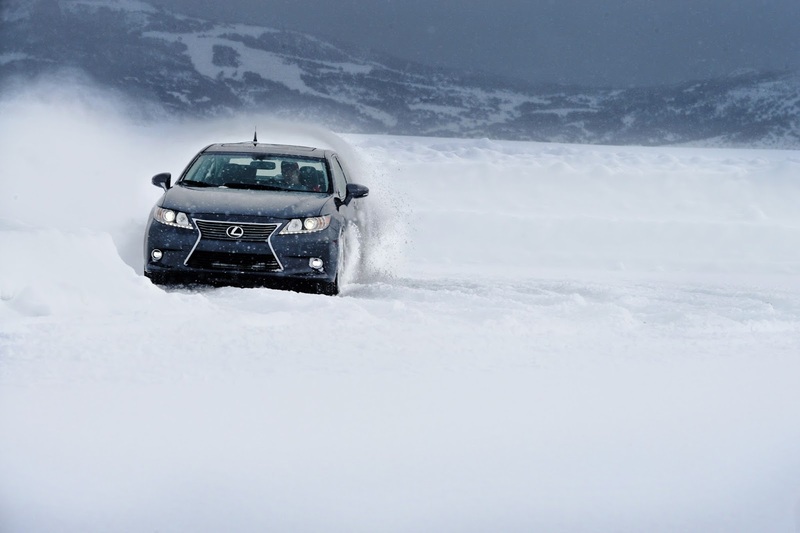 Is there a difference in rolling resistance for winter tires versus summer or all-season tires? In colder temperatures, which tire has the greatest rolling resistance? As a general rule, rolling resistance is not a primary benefit that winter tires are looking to deliver, so winter tire would likely have more rolling resistance. These tires are focused on maximum traction rather than reducing rolling resistance. What impacts on fuel economy will winter tires have? As a general rule at a high level, a winter tire’s rolling resistance won’t be quite as good, and thus fuel economy is likely to decrease. What specific features about the WS80 make it an ideal winter tire? The WS80 is a studless winter tire, which achieves traction that long ago was only possible with studded tires. One feature is the Multi-cell compound. At the microscopic level, it’s a porous compound. This is especially important in icy conditions (the worst conditions possible). In icy conditions, a thin layer of water forms on the surface. This could be from the pressure of the tire, or from the environment (sun shining on ice). The compound is designed to give you the best possible chance to get by at these conditions. The hydrophylic multi-cell compound draws water to it in order to maximize traction with the ice below. Bite particles are also included in the tread compound, these particles scratch the surface to give more grip. The tire compound is pliable at low temperatures (soft compound). The tread pattern design catches snow in it. Snow on snow traction is actually really good, even though it's commonly thought that snow packed in the tread reduces traction on snow surfaces. What makes the tread design/pattern of the WS80 ideal for winter conditions (as far as the channels, shapes, patterns, etc)? The tread pattern has much more edge quantity, and significantly more siping versus a summer or all season tire. The zig-zag sipes are beneficial for creating an extra edge. The shape helps stabilize the block, so the block doesn’t deform as much if it was straight across, thus improving handling. Zig-zag sipes also provide an additional lateral edge. What is “Tube Multi-Cell” and how does it improve traction? Tube multi-cell is the latest generation of multi-cell compounds. The pours are a bit bigger than they used to be to draw in more water. It’s stated that multi-cell compound acts like a sponge and pulls water away from the surface as it grips the pavement. How does this water leave the tire? Centrifugal force as the tire rotates. The quantity of tread blocks is higher, and there is more siping. Does the increased block edges of the WS80 result in decreased tread life? If you live anywhere where temps are consistently low enough that there is a threat that roads could be covered with snow or nice, winter tires may make sense. Also, if you have summer tires on your car, better safe than sorry and switch to winter tires during the winter. The multi-cell compound of the WS80 tire as well as the bite particles make up about 50% of the tread wear. 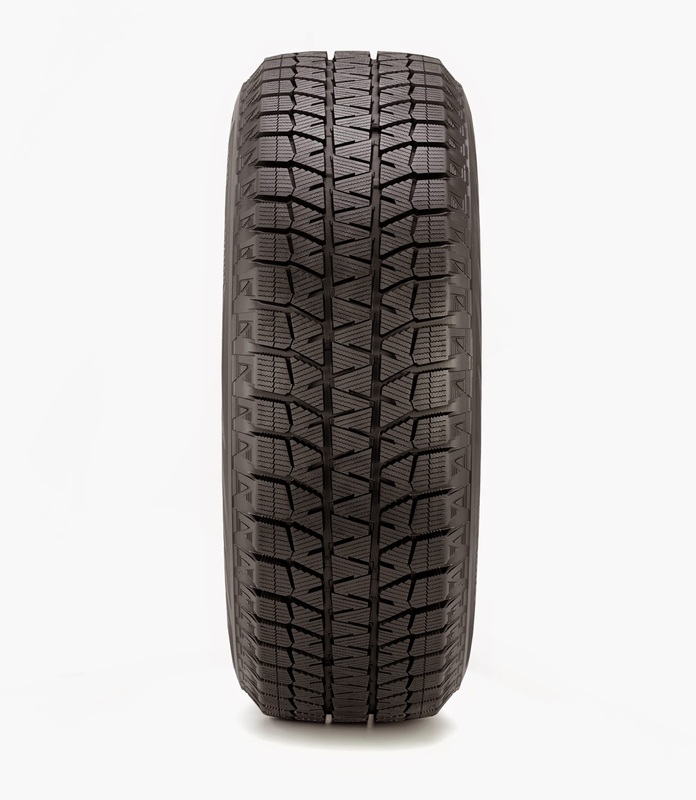 Will it still act as a good winter tire after the multi-cell compound tread has been worn off? The tire still delivers good winter traction from pliability and siping, after the multi-cell compound has worn off. Is there a break in for WS80 tires? 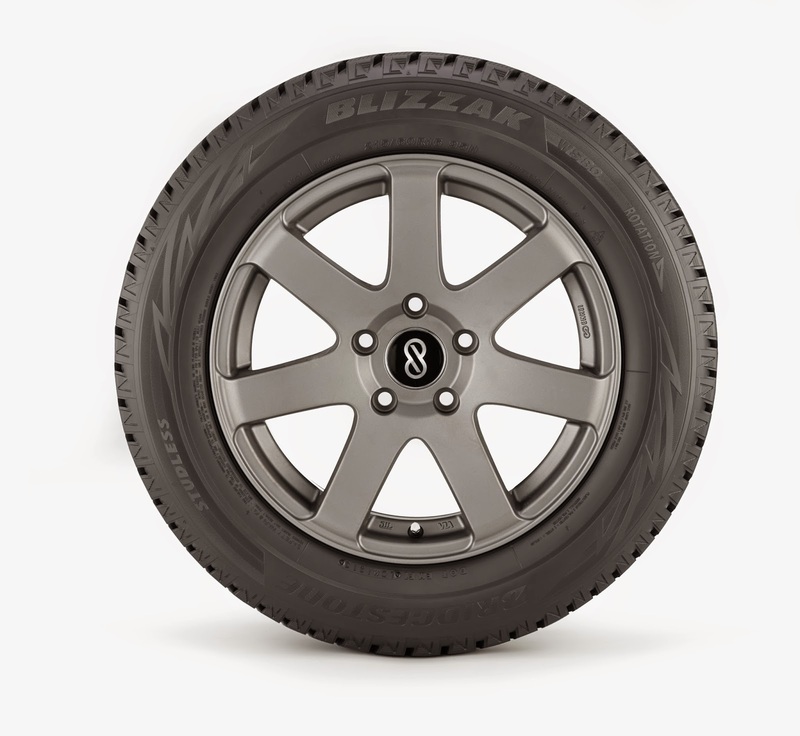 Bridgestone Blizzak WS80 tires feature a micro-textured surface from the factory, so there is grip right from the start. It may be about 500 miles before you've started to wear into the multi-cell compound. Where does Bridgestone see the future of Winter Tire tech going? What sorts of technologies are going to become more common in winter tires? Do studded tires have a long future? On the horizon - all the tire makers are looking at minimizing performance tradeoffs. The idea is to create a winter tire that will wear longer and handle better. In the not so near future, companies may be looking towards adaptive tires - tires that can adapt to different conditions. Airless solutions are the “holy grail" of tire manufacturers. People don’t keep proper tire pressures, and punctures do occur. Airless solutions do have a future. “DriveGuard” is a Bridgestone technology and is an evolution of where things can go. Airless tires tend to be on light weight vehicles for now, though overtime the technology will improve. Studded tires may still serve a purpose on high mountain passes or where regulation requires.